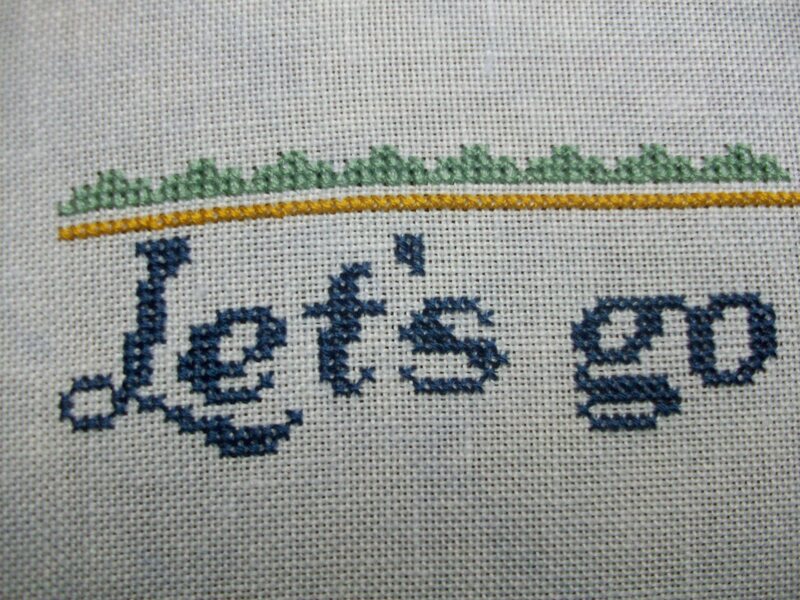 Last year, my friend Jen Lucas discovered the fun of counted cross-stitch. I was quite happy to encourage her with this new craft, as I have been a cross-stitcher for decades. After her first foray into cross-stitch, Jen decided that she wanted to try another project, but one that was a bit more complex. She picked The 2016 Pumpkin Passport stitch-along by The Frosted Pumpkin Stitchery. She posted about it, and last week I decided that I would join in as well. Now you may be thinking, “Laura, don’t you have a crapton of crocheting to do? Do you really have time for another craft which will take away crocheting time?” I agree, those are valid questions. I hope the following is a valid answer. When I started crocheting again about 15 years ago, it was for pleasure. I would make gifts for friends and family, I bought patterns and magazines and books, and started stashing yarn. Big plans were created for all the amazing things I would crochet. I started taking classes and learning new techniques. I found a local yarn store where I could hang our with others and play with yarn. And then, about 5 years ago, things started to change. I started teaching at that local yarn store, so I needed to create patterns to use for classes. I was contacted by Cascade Yarns and started creating crochet patterns for them. As the years went by, I started a blog. I joined a crochet blog tour. I released my first self-published pattern. I launched a website. More and more, crochet became a business. While I still have fun crocheting, and most of my evenings and weekends are filled with crochet time, less and less of it was crafting time just for fun. I don’t know about you, but I really need that wedge of the self pie chart to be there, even if it is small. Knowing I needed some of that crafting “me time,” I chose to join the stitch-along. It’s a mental health thing, and it charges the creative battery so I am able to do the crochet business work more effectively. What makes this a great choice is the time commitment. Sections of the pattern are released monthly, so there should be enough time to get everything done. The pattern itself (so far) isn’t too difficult skill-wise -no partial stitches, minimal backstitching – so the actual stitching goes rather quickly.